H.E Mr Ahmed Muhammad Fadel Yacoub, Ambassador of Egypt to Pakistan visited General Headquarters. 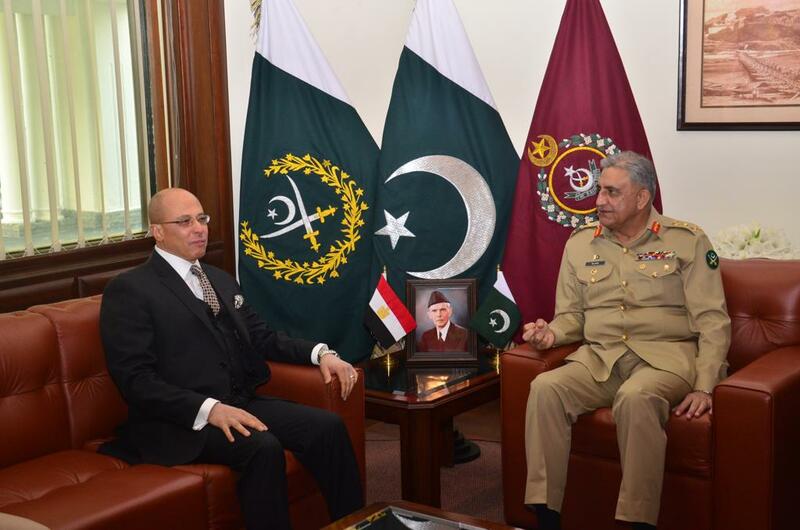 H.E Mr Ahmed Muhammad Fadel Yacoub, Ambassador of Egypt to Pakistan visited General Headquarters and called on Chief of Army Staff (COAS), General Qamar Javed Bajwa, today. During the meeting matters of mutual interest, regional security and Pak-Egypt relations came under discussion.